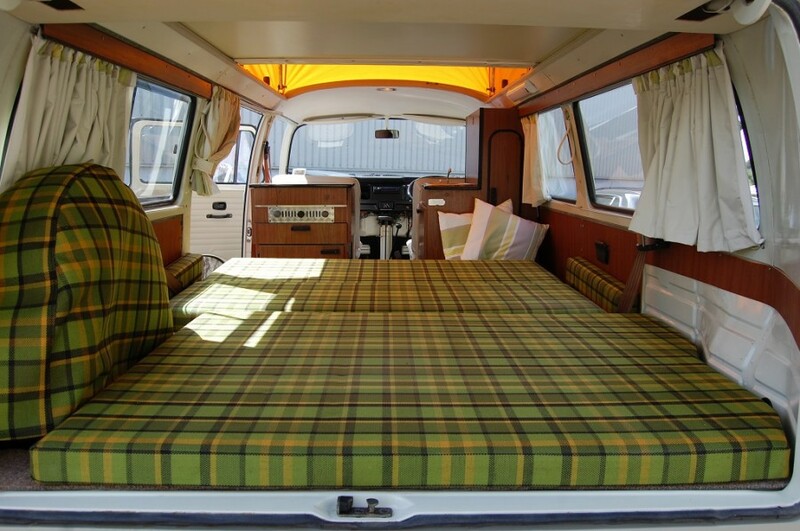 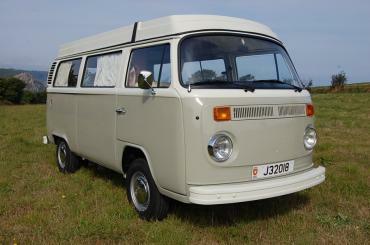 Le Riche Automobile Restorers - Volkswagen T2 Campervan - Call for more details. 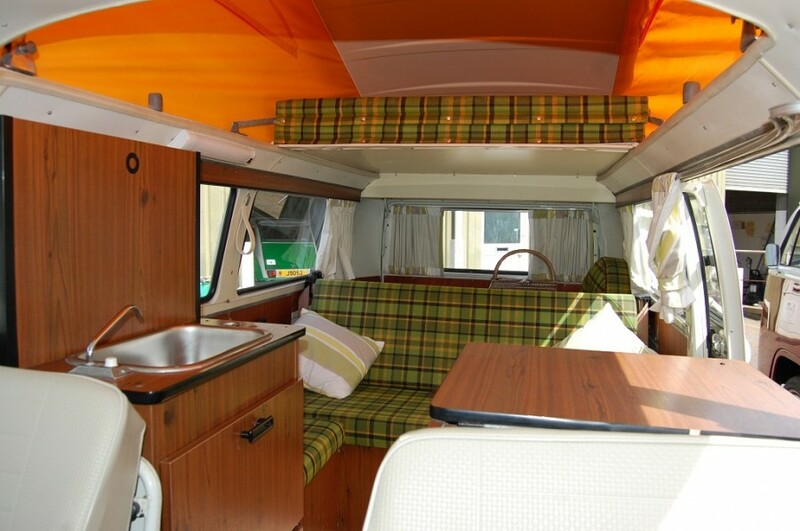 Volkswagen T2 Campervan - Call for more details. 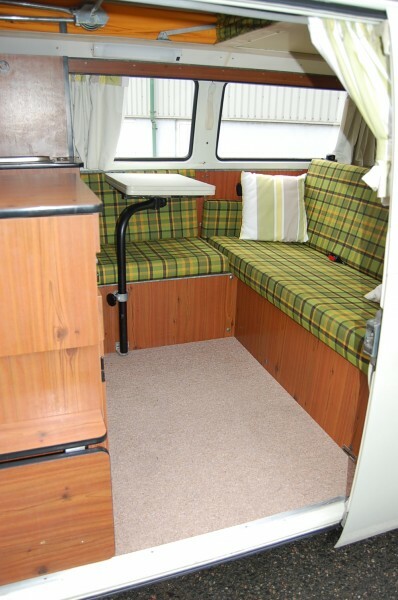 Mark & Model Volkswagen T2 Campervan - Call for more details. 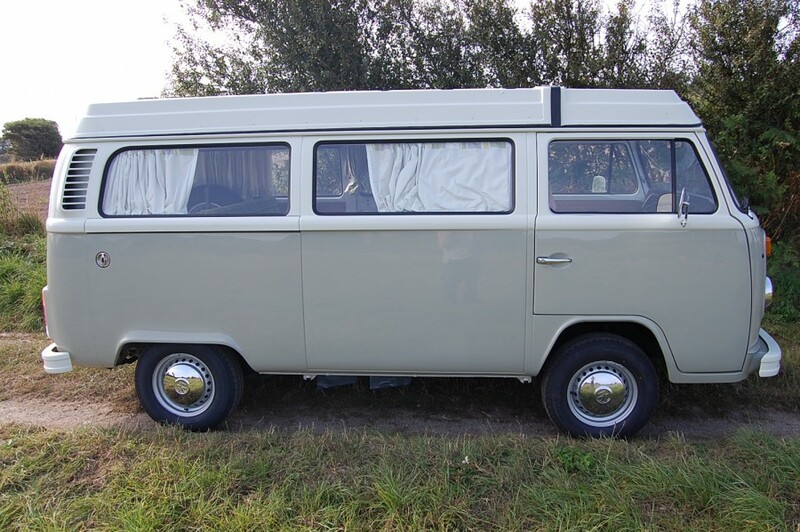 Registered in Jersey from new, this RHD 1975 T2 Westfalia with tilt rood has been subject to a full restoration by Le Riche on behalf of a client during the period 2012 /2013, and has covered only 900 miles since completion. 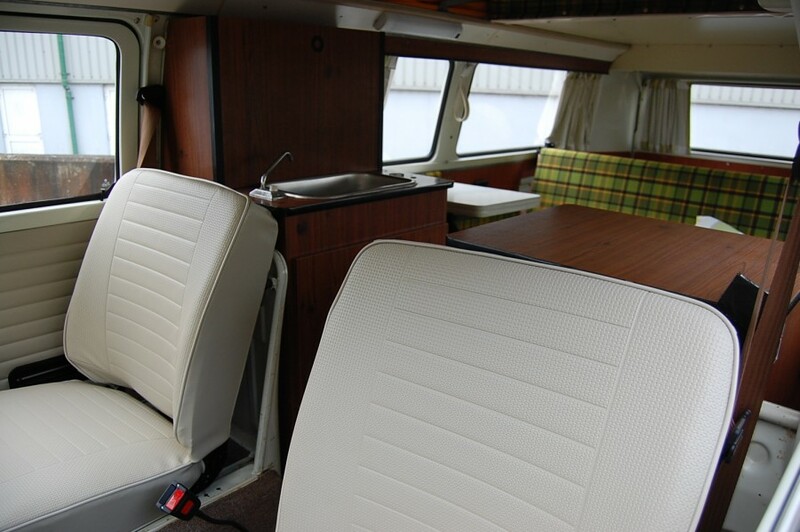 It is finished in the correct colours of white over beige, complimented by the period Westfalia tartan and fitted interior, which has also been completely fully restored to the original specification. 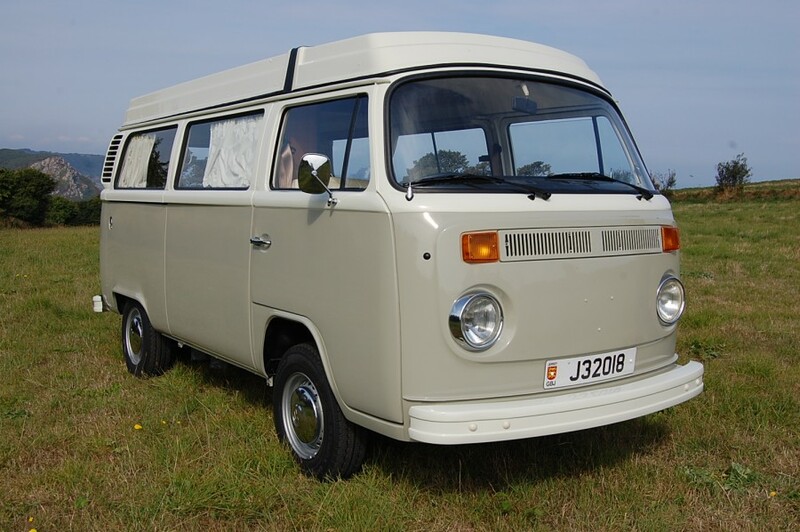 In excess of £40K has been spent on the acquisition and restoration, which covered the body, interior furniture and fittings, upholstery, tilt roof, specialist engine rebuild, brake rebuild, suspension, with the gearbox being checked . 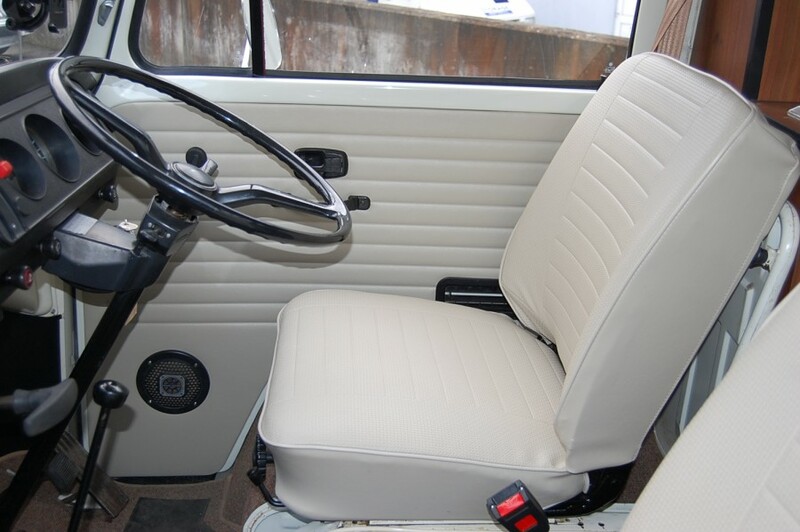 The work carried out by Le Riche Restorations is fully detailed in the accompanying history file and photographic record of the work carried out, and as such the Westfalia is ready to drive away and enjoy. 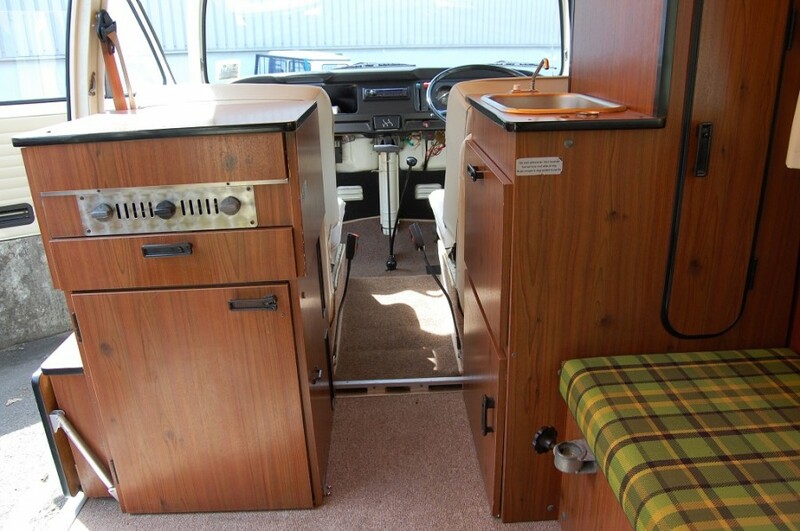 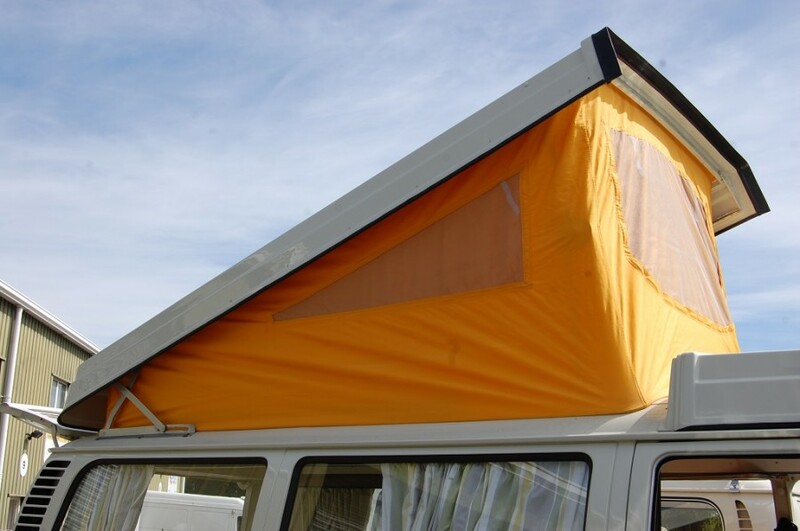 Being a Westfalia conversion, it is a walk through with a two double berths, the second being in the roof space, our restoration was especially detailed utilising the correct Westfalia material, with the original cabinet and furniture being also similarly restored match. 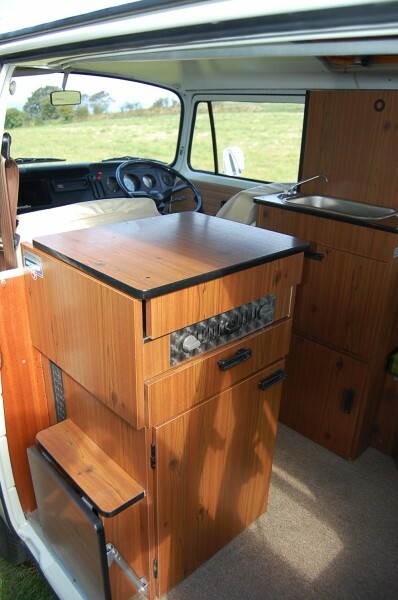 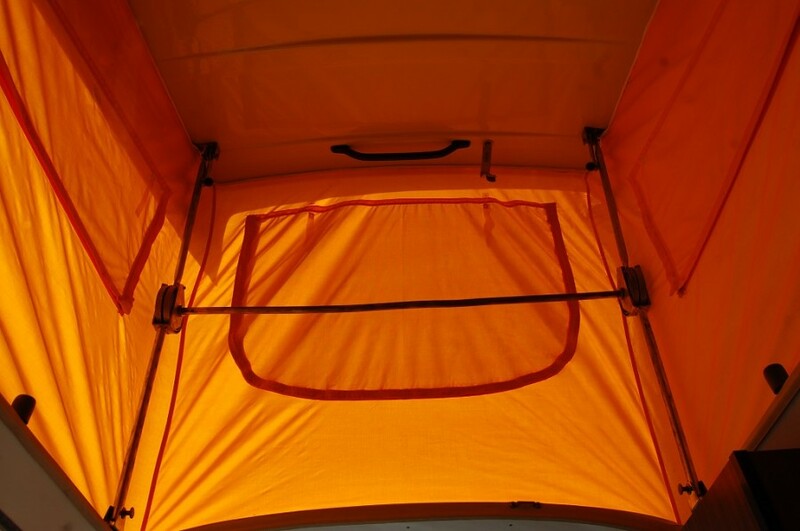 The Westfalia is fully equipped with cooker, built in fridge/cooler, sink, fitted tables, and wardrobes. 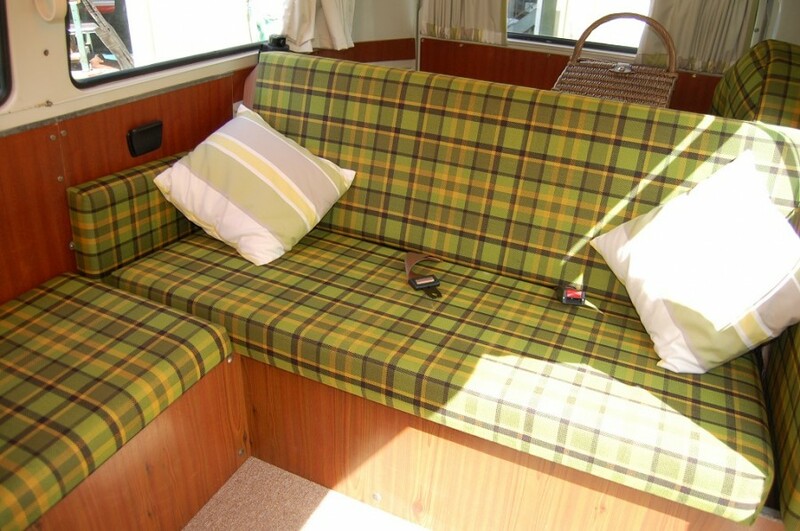 Fully restored in original tartan pattern, with finely restored woodwork and trim. 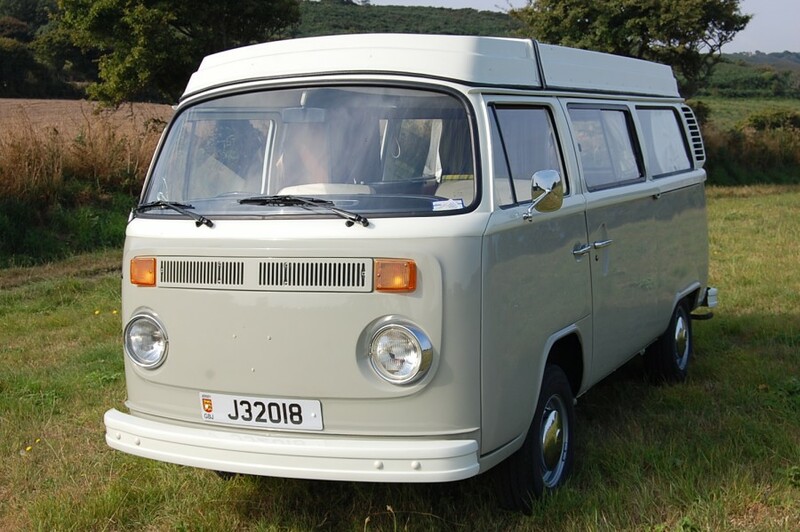 This beautifully kept vehicle is provided with a detailed service history, including a fully rebuilt engine by UK VW specialists.